It may not feel like it now with all the snow, but before the troop will be planning its annual spring time camping schedule. 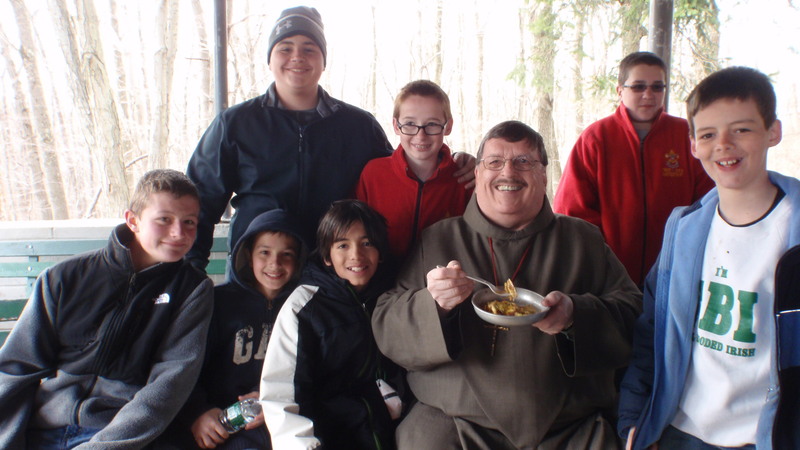 For the past several years, our troop has adopted a Good Turn Weekend outing which includes camping on the beautiful grounds of the Graymoor Monastery in Garrison, NY. 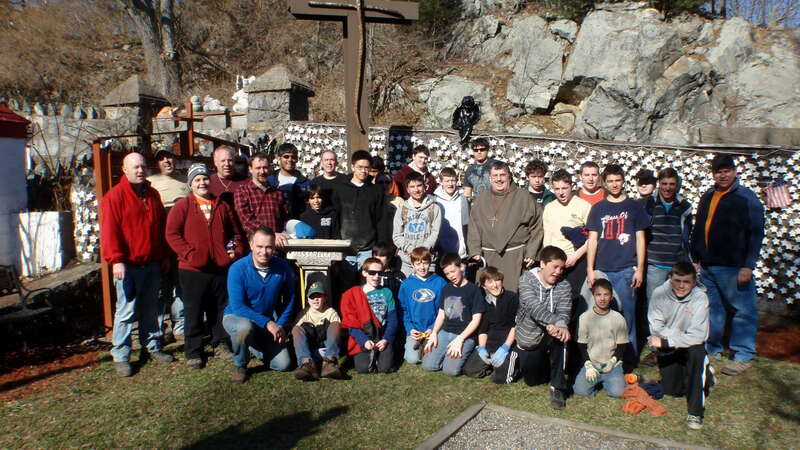 The “Good Turn” element typically involves a “spring cleaning” of the prominent 9-11 prayer garden and surrounding area. 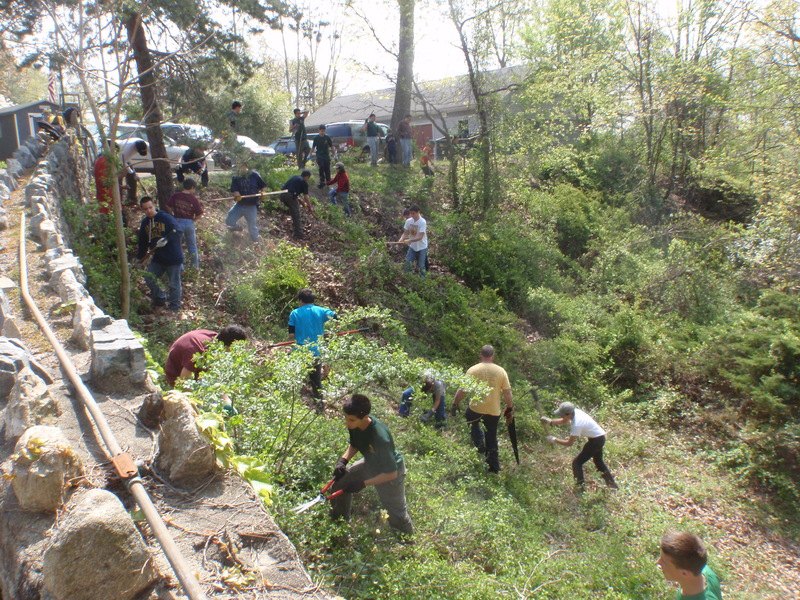 For most scouts, and especially the adults, the 6 hours of yard work is therapeutic, as there is a strong appreciation of the thousands of visitors that frequent this sacred ground throughout the year. Our liason Brother Ted Novack is always careful in his choice of additional special projects and patient in his all-knowing horticultural guidance to the scouts. 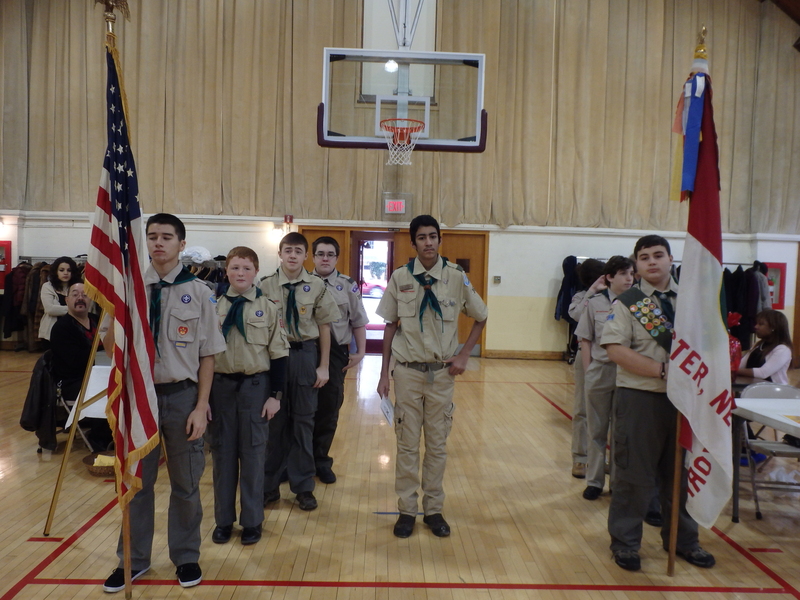 To get the best appreciation of the importance of the troop’s work maintaining the sacred 9-11 prayer garden, please check out these videos of the reverent & respectful services from 2011 & 2013 ==> 9-11 Services video clips. 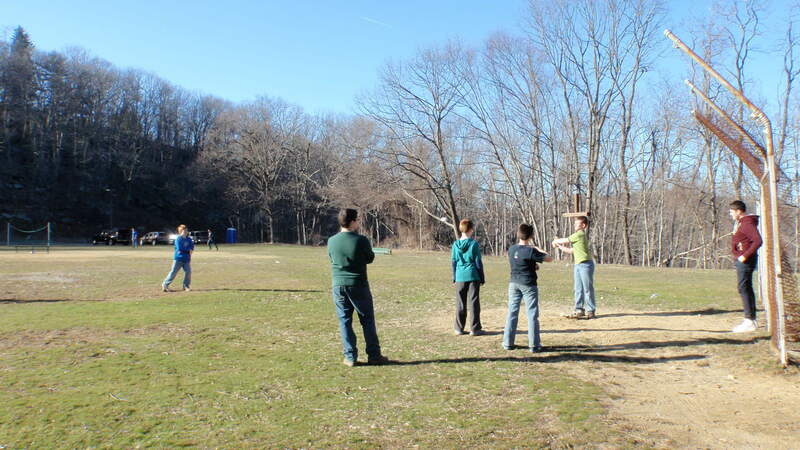 Although the scouts claim to be “exhausted” and too tired to work any longer by 4:00pm, they miraculously “rally and play either kick ball or softball for at least an hour prior to dinner prep, which often includes a dutch oven treat prepared by one of the adult leaders using the special food ingredient for the next day. 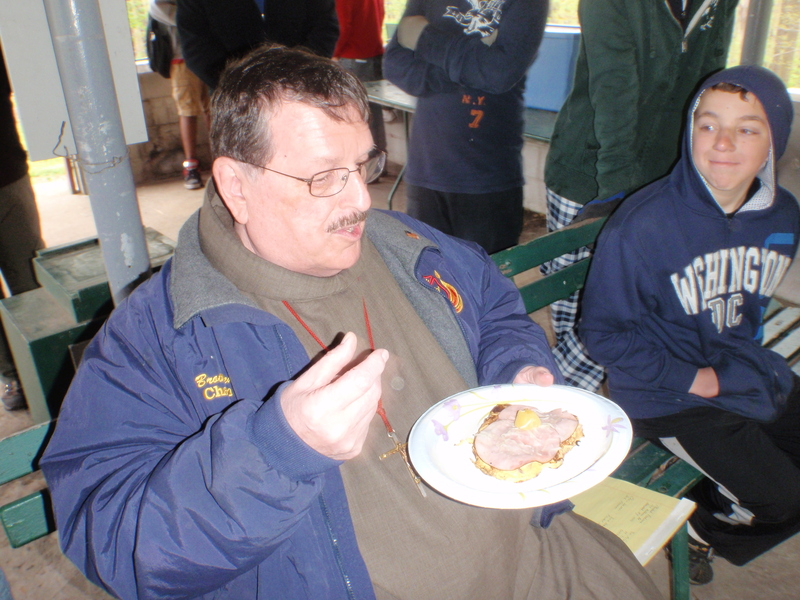 After a few years, a special feature was added to the outing: the Iron Chef cookoff on Sunday morning (after Mass) with Brother Ted the tasting judge. The winning patrol carries the coveted Golden Spatula award for the next twelve months. 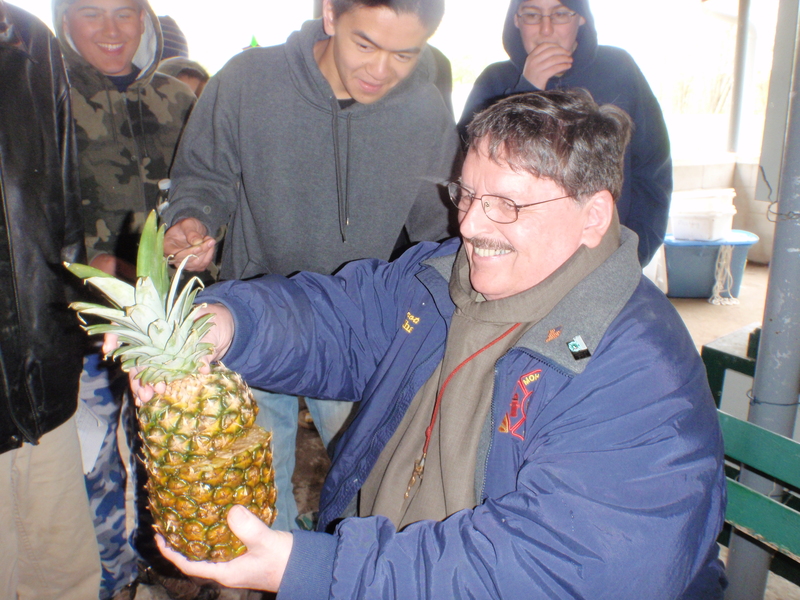 The troop’s PLC chooses a special ingredient to be included in the popular cookoff event, such as apple, lime, chocolate, pineapple, etc. The scout’s breakfast concoctions often are original creations–which is often a good news/ bad news development. “Good” in that it spurs their creativity and there is planning involved, “bad” in that the end result is not always aesthetically pleasing to Brother Ted! Rule #1 is that it must be edible and something the scouts will eat–not a bad rule to follow under any condition! Pictures from 2012 are found here! Pictures from 2013 are seen here! Community Service — Honoring a Legacy: Dr. Martin Luther King, Jr. The current generation of scouts has a difficult time fully appreciating the tense & tumultuous period of the 1960s in our country. As each year passes, the accomplishments of Dr. Martin Luther King, Jr. become more and more awe-inspiring. The fight for equal treatment of all human beings against a culture of segregation that was brutally enforced at times is an unbelievable endeavor that demands everyone’s utmost respect. 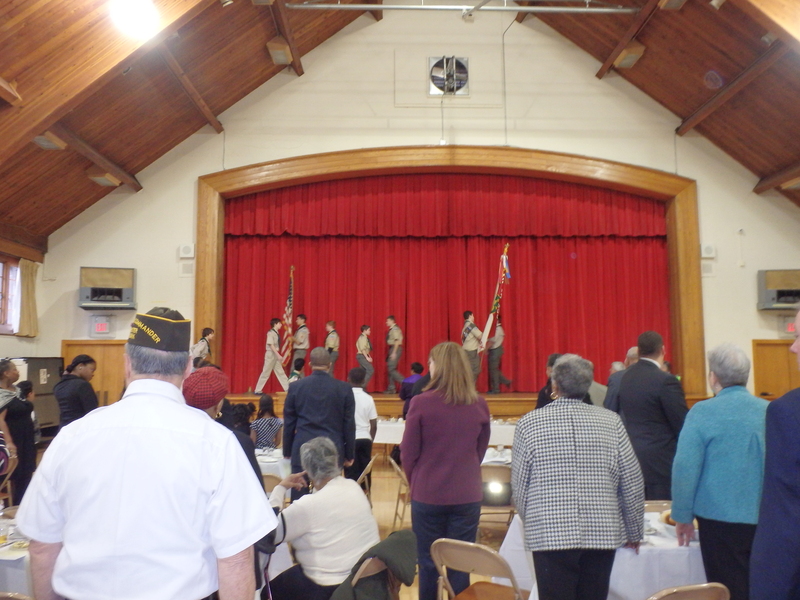 So it is with tremendous appreciation that our troop serves to perform the opening flag ceremony at the annual appreciation breakfast for Dr. Martin Luther King, Jr., sponsored by the Eastchester Community Action Program. The breakfast is attended by a wide variety of public service-oriented groups, including many politicians, to honor the legendary Dr. King. 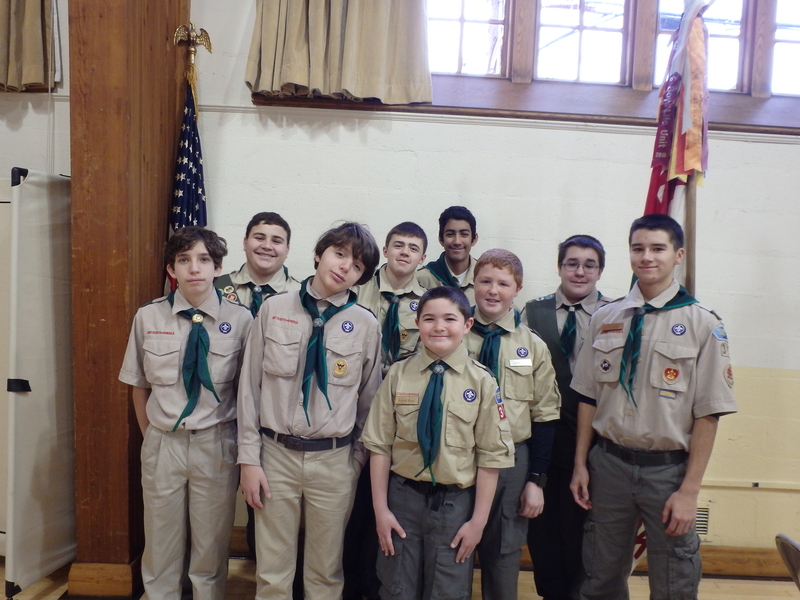 And Troop 353 scouts proudly post the colors! More photos here! Author scoutmasterPosted on February 3, 2014 March 29, 2014 Categories Activities, Community Service, Photos, Service, Service ProjectsLeave a comment on Community Service — Honoring a Legacy: Dr. Martin Luther King, Jr.